Hubdub, the folks that brought the world Hubdub news prediction and then FanDuel fantasy sports games, is now hiring 1-2 LAMP Developers to work on their fantasy sports product. And it’s for Edinburgh or San Francisco, how cool! So, what does Hubdub do? Hubdub Ltd is a VC funded start-up based in Edinburgh and San Francisco that aims to be the world’s largest developer of premium social games for sports fans. Its main product, FanDuel, transforms traditional fantasy sports ($1bn, 30m people market) into an instant gratification daily game where users win cash prizes every day. 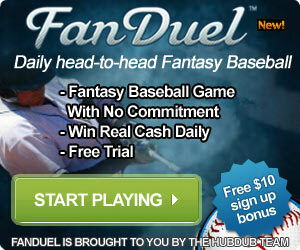 It is played on FanDuel.com, via white label partners such as Philly.com, and in future on Facebook and mobile. We are looking for an end-to-end LAMP developer to work on the core FanDuel product. You will have a high degree of responsibility in a small development team, and work with the product manager and technical lead to scope, implement, test and maintain new functionality in the game. The environment is fast paced, challenging and dynamic. We are looking for someone comfortable with this level of uncertainty and who thrives on the excitement of working in a start-up. Who would be the ideal candidate? Salary, stock options, and benefits competitive with other similar stage start-ups. Location either Edinburgh or San Francisco. Wow, how do I apply? Please send CV/resume and cover letter to nigel@fanduel.com. visit this site, it contains important Information.